After developing the vROps notification plugin that allows to send REST request automatically when an alarm is triggered in vROps, or the VMware Certificate Toolkit, Pierre released yesterday the VMware Tools Client beta that allows you to interact with a VM without network connectivity. 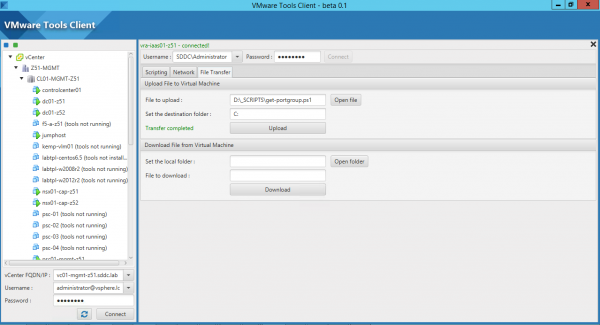 Developed in Java, the VMware Tools Client is a guest operations user interface and leverages the vSphere Guest API to interact with the VMware Tools installed in your guest OSes. Regarding features, you can execute commands and scripts, transfer files, do connectivity tests (ping), and so on. Check out this short video to have a complete overview of the tool. 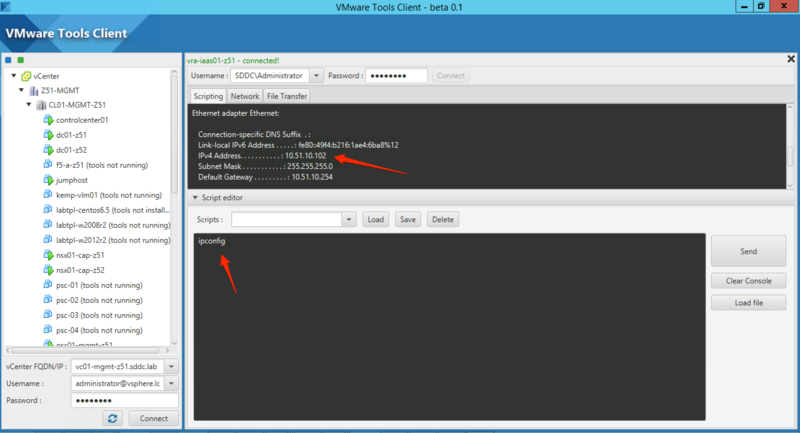 Check Pierre’s post on the subject to get more info: VMware Tools Client beta 0.1. Disclaimer: as this is a personal project from Pierre, it is of course not supported by VMware. Hello, Java 1.8 and just double click on the Jar file.